So, will you climb with us today Captain Jerry? “Ha, Maybe. We will see.” Replies our 40-something, zero percent body fat, leather skinned boat captain. Capt. 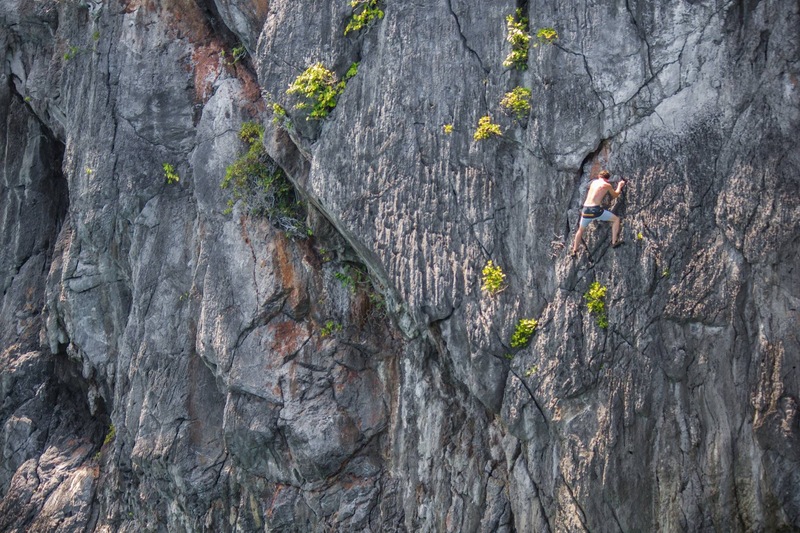 Jerry is the man when it comes to the climbing scene in El Nido. His forearms and abs are that which you would expect of a seasoned climber who trains every day but for Captain Jerry it’s hauling anchors on his boat all day for climbers and tourists alike that keeps him in tip top climbing shape. 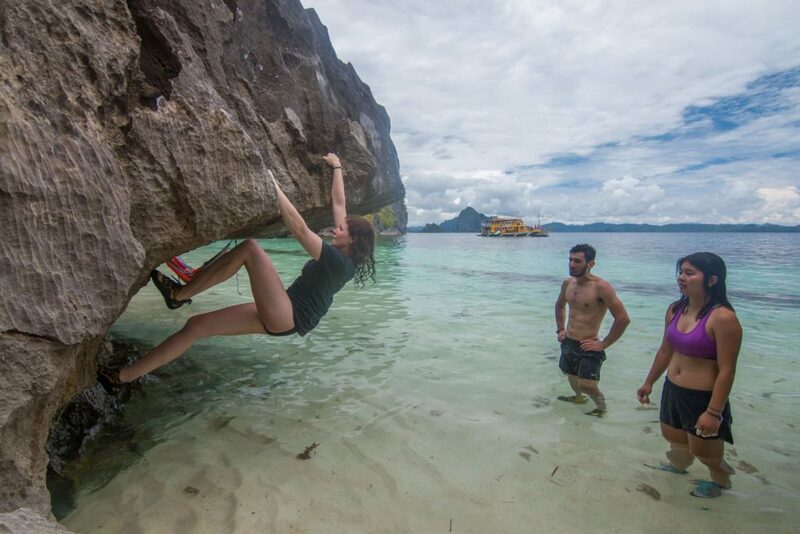 Rock climbing isn’t a mainstream activity in this part of the Philippines, he told us as we left the island of El Nido heading towards the steep limestone sea cliffs of the surrounding islands. 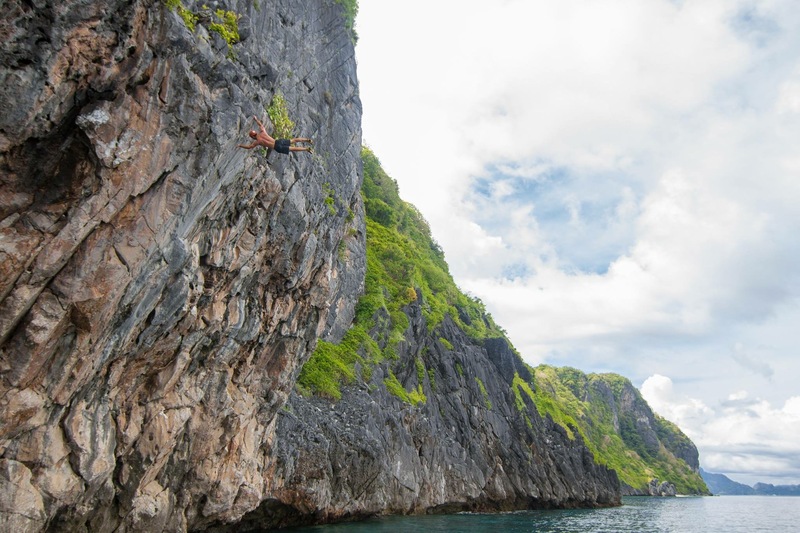 Besides a The North Face expedition, which Captain Jerry received his only pair of climbing shoes, there really has not been any climbing development on the island of El Nido. How is it that there is no development here? That’s crazy! I asked my Filipino born friend & climbing partner, Ramoun. He is the one who is responsible for birthing the idea of our deep water solo expedition to El Nido as well as organizing all of the logistics of our trip. I just didn’t understand what was keeping people from climbing these virgin limestone cliffs. They are just a short paddle away from pristine white sandy beaches, fresh coconuts and banana mango daiquiris just as fresh and bountiful as the climbing in front of me. 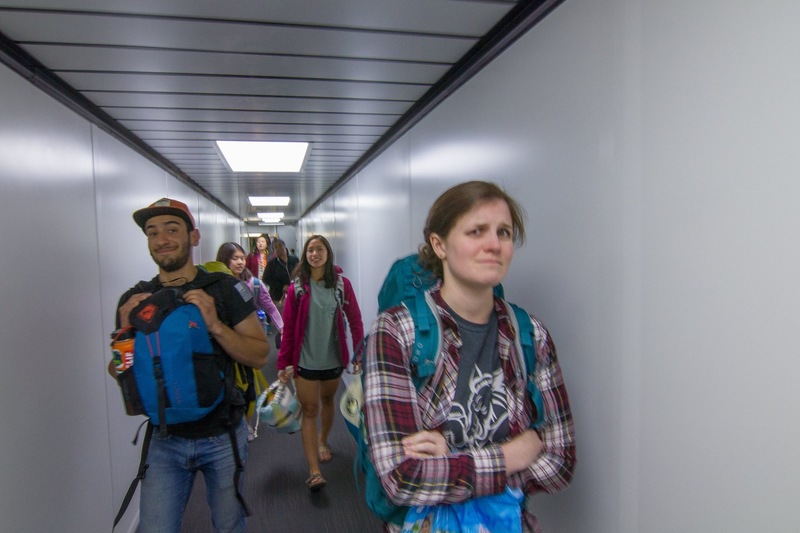 Our “expedition” began on May 23rd as Ramoun, Katie, Hennie, Joanna and myself boarded our first flight from New York City bound for Taiwan. We would meet our Seattle friends Will and Audria who would be joining us on the expedition. 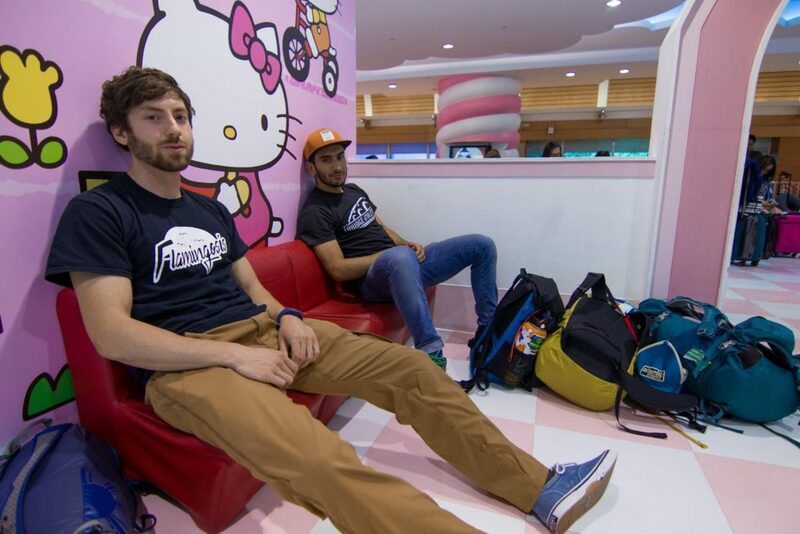 Fifteen long hours later we landed in Taipei where we found our friends inside of the most amazing Hello Kitty themed gate where we waited for our Manila bound flight to arrive. With our group now complete, we flew to Manila where we would board our last flight to Puerta Princessa. The stoke was high as we walked down the boarding ramp into the tiny airport in Puerta Princessa. 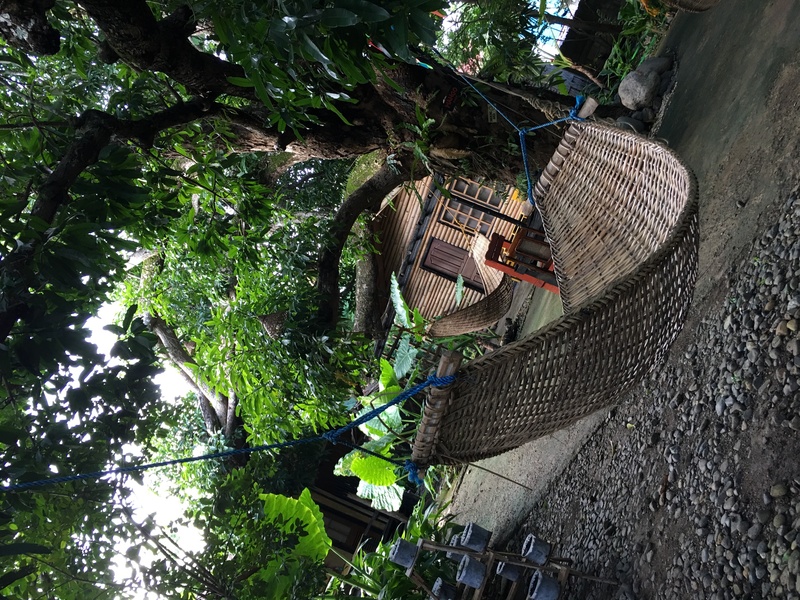 It was here, after almost two days of traveling, where we finally got to spend a night in a bed and our first taste of a genuine Filipino breakfast which consisted of corn beef, rice, eggs and no surprise, assortment of fresh fruit. What was a bit of a surprise to me is that nobody drinks coffee in the Philippines. For those who do, all that is available is packets of instant coffee usually mixed with a lot of cream and copious amounts of sugar. If you are a coffee addict like myself, the biggest advice I can give you is to bring your own coffee and a French press, otherwise be prepared to be coffee deprived for your entire stay in the Philippines. Refreshed with a good night’s sleep (for most of us anyway), we hopped on a van bound for the nearest Jolibee, A Filipino fast food chain that serves spaghetti made with banana ketchup, that is somehow still red like regular ketchup, on their menu. An excellent lunch choice for an eight-hour van ride along the windy mountain roads to El Nido I know. 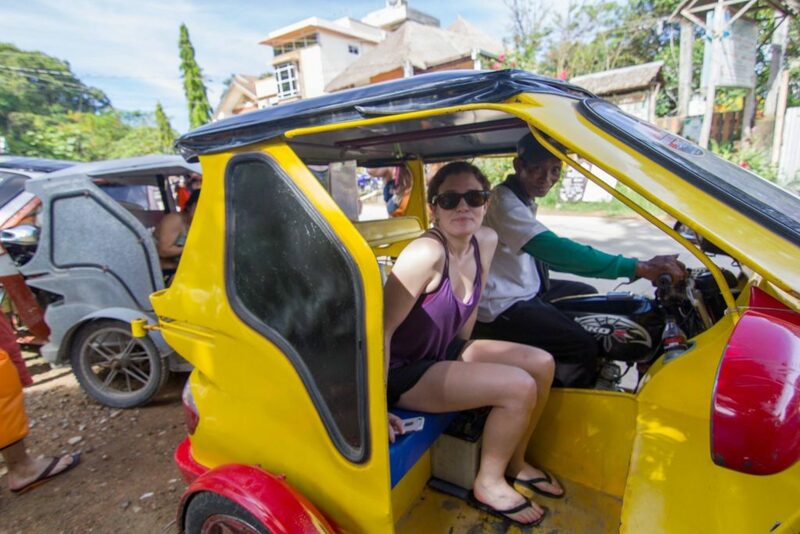 Despite some nausea and rain for the entire van ride, our stoke was high as we arrived to El Nido. 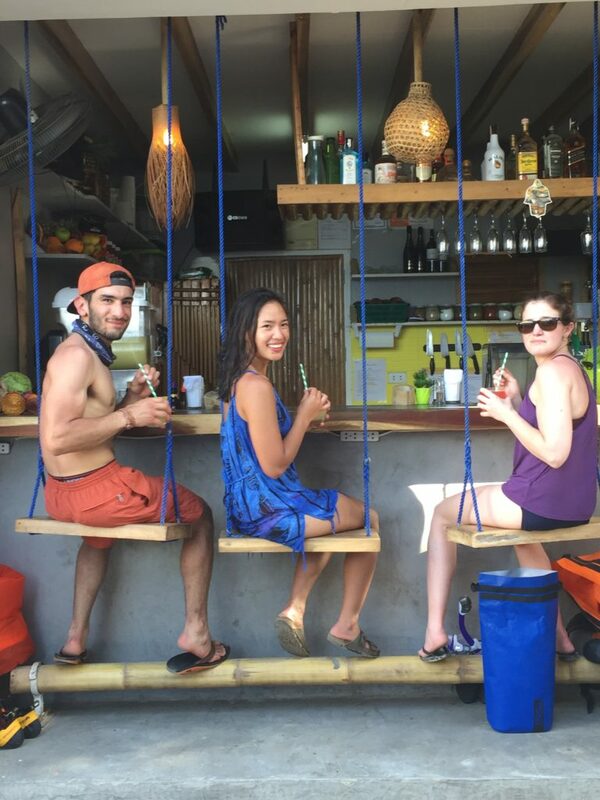 We checked into our cabanas on the beach and took a trike ride into town where we found a quaint place called the Happiness bar. At the Happiness Bar, the bar stools are swings and menu includes things such as: daiquiris; shakes; Falafel and a banana, mango, Nutella flatbread called “the childhood”. An excellent choice for food, drinks and a good time on those rest days. The store just down the street is a good place to fill water bottles and pick up extra sun pro as well! 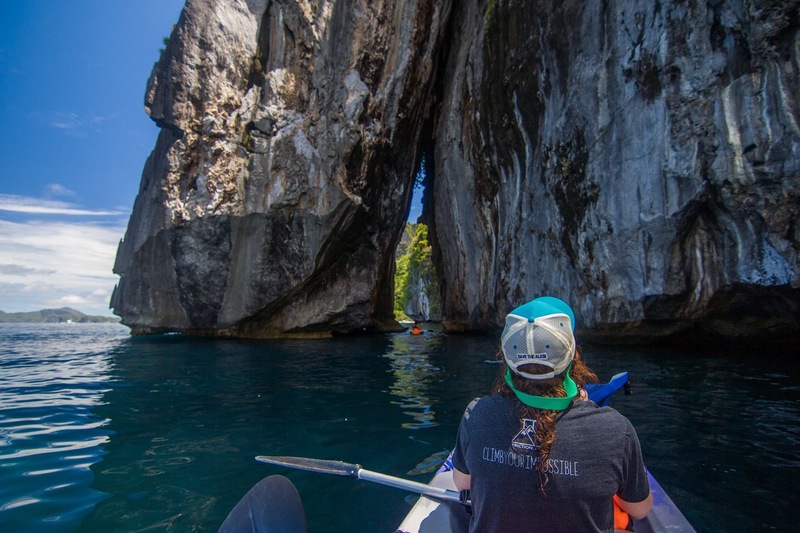 Day two in El Nido – the weather began to improve and cloudy skies turned clear, revealing the giant limestone monsters in the seemingly near horizons. The climbing fever was high among our group. Our first couple of days consisted of waking up early to rent kayaks and paddle towards the closer ocean cliffs to take advantage of the high water levels of the early afternoon in hopes of setting some deep water solo first ascents. There was so much going through my head as we set out to paddle towards the cliffs. Will the climbing be worth the three days of traveling to get here? Will the rock quality be good? Will I be strong enough to even climb these routes? As we got to the first wall, all of my anxiety went away. Immediately we were blown away by the quality and detail of the untouched carst limestone face in front of us that we would later name it “Bananacue Wall” due to its resemblance to the glistening golden color and black striping of the Filipino deep fried plantain street food. To look at a blank wall with so much potential was mind blowing, I immediately saw the lines, it was so obvious. It was as if I was looking at a picture in a guide book, a guidebook that only existed in the realm of my imagination. It was here that we established our first FAs in El Nido including an incredible dyno finish 5.9 crimp fest named Tastier Than Lechón. The climbing from here only got better as we continued to paddle around the island. The climbing fever was really starting to burn within the group, and so was the sun burn. The firm belief in the fact that my Spanish skin doesn’t burn quickly roast away in the Filipino sun. Our next stop was not for the faint of heart, but one of the most amazing destinations of the trip. Home to one of my favorite routes in El Nido, the behemoth esque giant that leans against the island walls creating a picture perfect arch that you would expect to see on the cover of a climbing magazine. Climb as high as you dare here as the water is extremely deep. A great spot to see schools of colorful fish too. Care should be taken when climbing here however as the rock is sharper than glass and waves can become violent inside the channel of rock. Climbing is best around either entrance as years of erosion have created an upside down mushroom effect on the rock inside the arch. Be mindful of this formation inside of the arch as falling can have the effect of sliding down a cheese grater in the event of a badly timed fall. Climbing is extremely varied here, from overhung jug hauls in the 5.8 range to micro razor edge aretes rated around 5.11 or 12 to potential for 5.13 plus routes for climbers much stronger than I️. Just around the corner of the giant arch is Papaya Beach, the strip of white sand in the bottom left of the picture above, an awesome place to set up some hammocks, have lunch and do some shallow water bouldering if your skin has not had enough of the paper cuts. Papaya Beach offers a relief from the crowds of tourists at the nearby Seven Commandos beach as well, but is close enough to paddle to after picking up some coconuts and Banana-Cue from Seven Commandos. After a few days of paddling around the island, we decided it was time to take a rest day to recover our skin and give our sore muscles a break. We hung up our chalk bags and climbing shoes out to dry so we could go became tourists for the day. 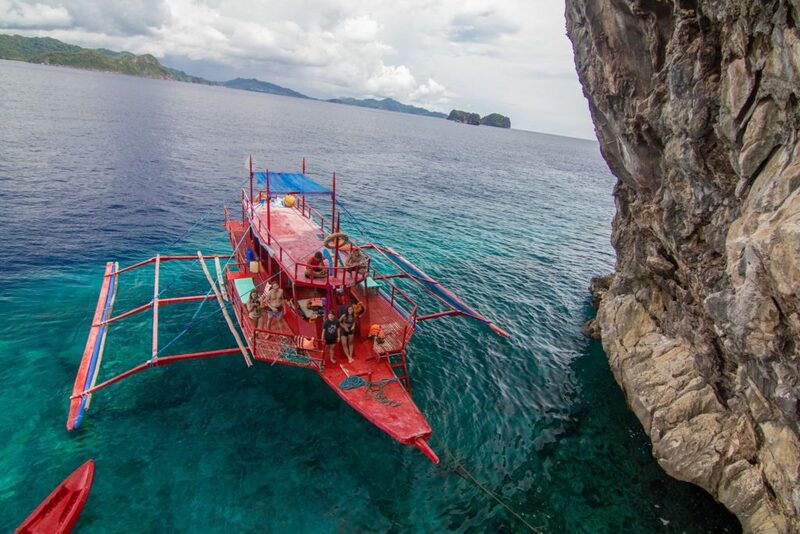 We decided to do an island hopping tour of the islands surrounding El Nido. 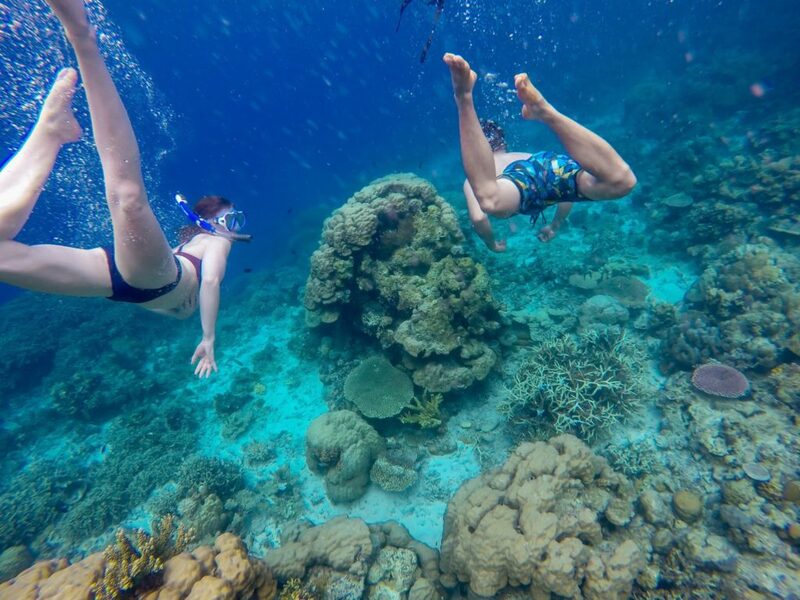 Between the fresh seafood prepared for us on our boat and the world class snorkeling around pristine coral reefs, it is hard to say which was better. Both however made for a rest day worth taking! With shredded hands, somewhat recovered muscles and our morale high it was time to climb some rock again. This time however, we were going to cliffs too far to paddle too. 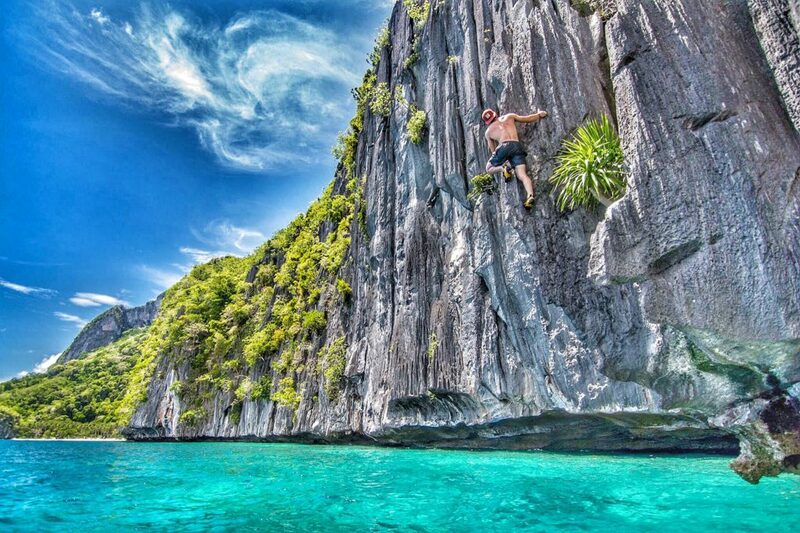 Intro Captain Jerry, the man who knows climbing in El Nido best. 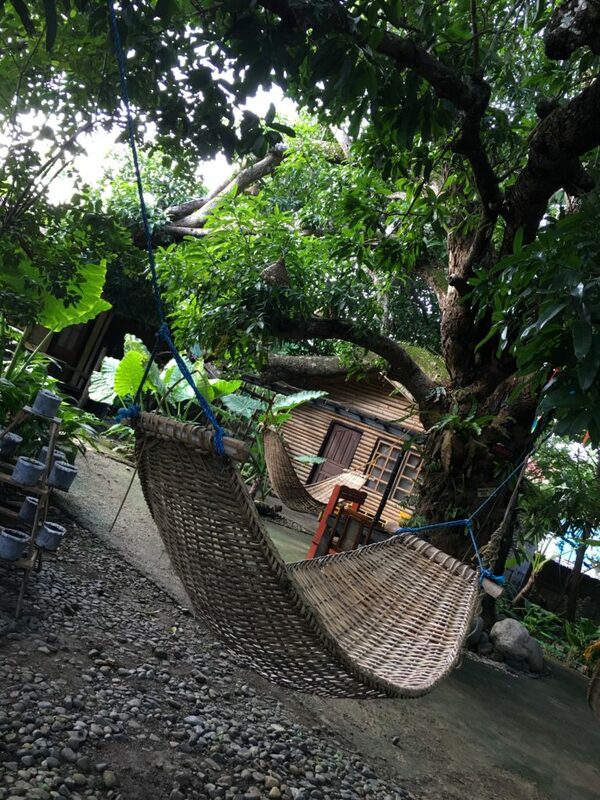 He and his family live & run their boat portage business in El Nido. They primarily service those snorkeling and island hopping tourists. 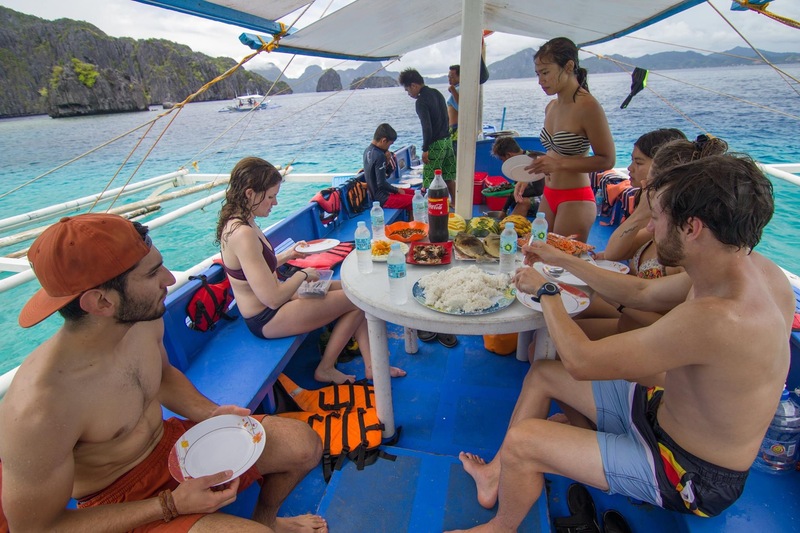 He also however, is known by a key few as the best boat service for climbers in El Nido and knows the climbing there better than anyone. We boarded early in the morning, so early in fact that the tide had yet rolled in, making for a treacherous wade in shallow, sea urchin infested waters to just get to the boat. From here it was a nice relaxing boat ride in the morning sun to our first stop, a hundred foot vertical wall offering great warm up routes. Climb as high as you dare on the juggy face, but be ready to down climb or jump a long way from the top making sure to push well away from the rock face. Be sure to watch out for the dragon face like feature which gives this wall its name. The climbing only got better from here as we continued on to our next stop, a beautiful forty five degree wall we dubbed Captain Jerry’s wall. 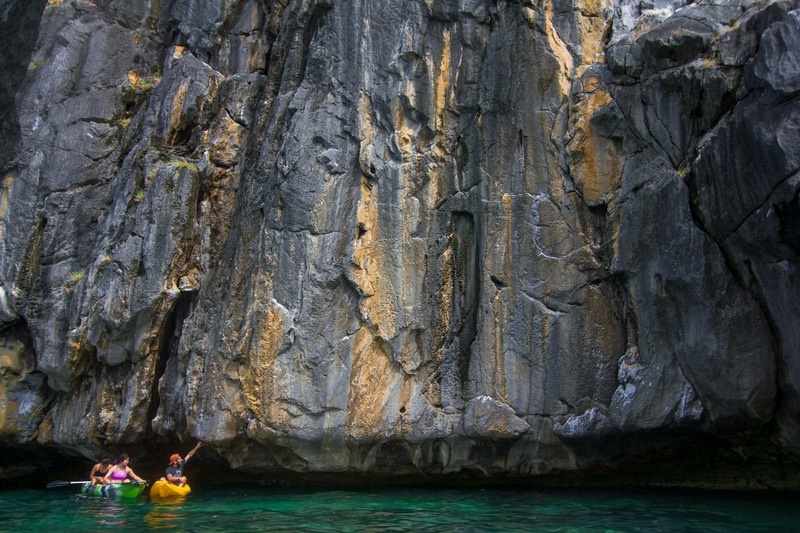 This is where Captain Jerry slipped on his climbing shoes and schooled us on Filipino deep water soloing. Most of the climbing to be had here is on the predominant overhanging wall where there is plenty of good holds and the pump gets real very quickly. If “mindless jughauls” aren’t your thing, then take a shot at the Arete on the left side of Captain Jerry’s wall. This arete hosts Captain Jerry’s arete, an absolutely spectacular route that probably lingers in the hard 5.11 to 5.12 range. 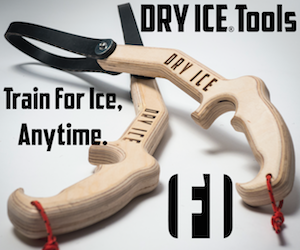 Be ready to side pull, heel hook and finger some pockets on this masterpiece. Traditional beta requires a flag pole to be done at the top of this route to properly claim a send. 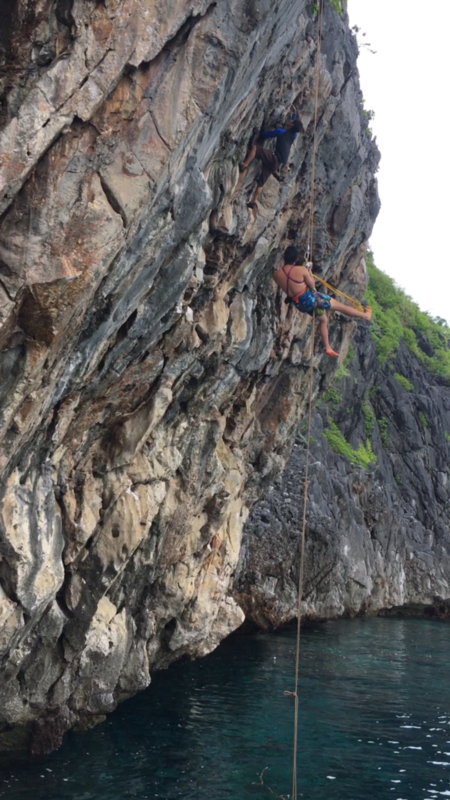 With some seriously pumped forearms and shredded fingers it was time to head back to El Nido to make it back in time for happy hour. 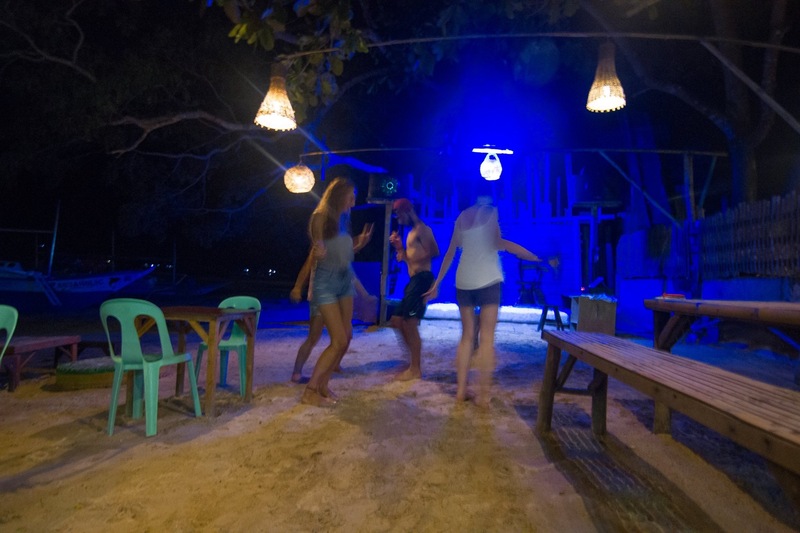 There is no shortage of margarita bars and parties on the beach in El Nido. Grab a fruity drink, a San Miguel or Red Horse will do; prepare to be schooled on how to dance and karaoke. If your feeling extra brave from that liquid courage, you may even try some balut! “It tastes just like chicken”. 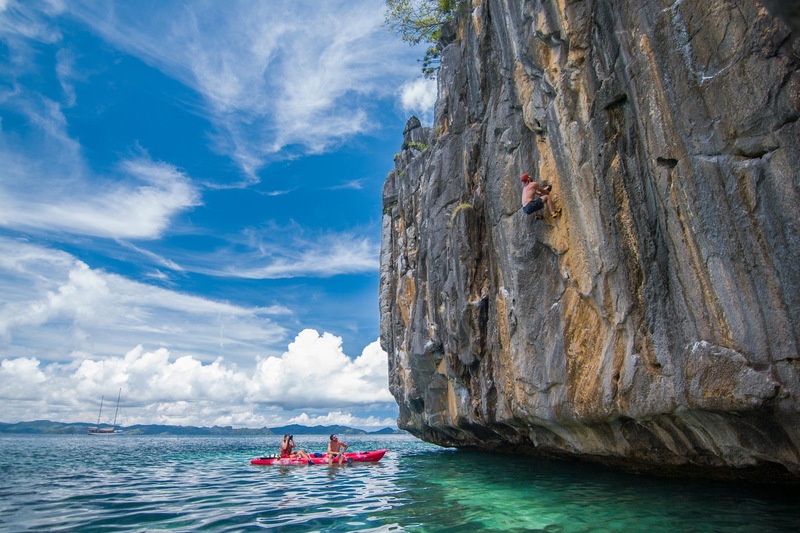 If a deep water solo climbing trip to the Philippines sounds like world class climbing, surreal scenery and beach party bliss rolled into one, that’s exactly what it is. It’s not however, only just that. 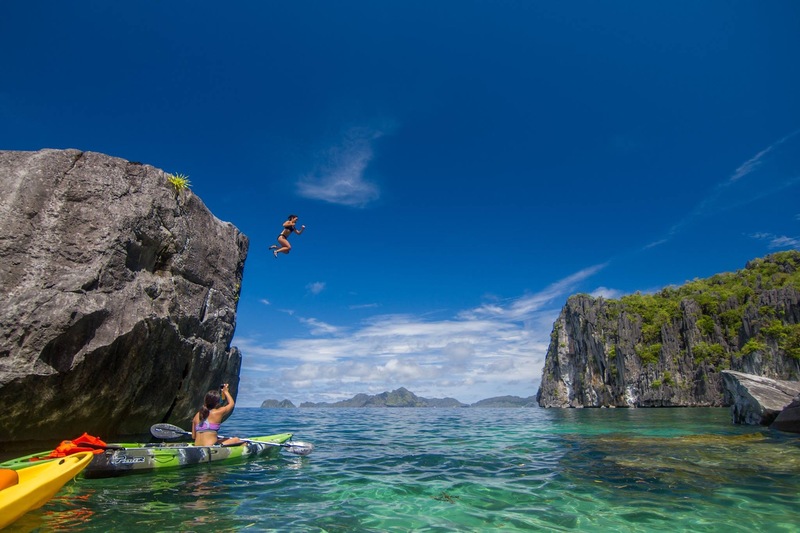 To us it is much more, it is about creating a community that is aware of the amazing potential that there is for climbing development in El Nido. The importance of keeping places like El Nido protected as natural environments, while supporting the income of the local community is vital. There’s no doubt that development and expansion of deep water solo rock climbing in El Nido is inevitable. If we don’t come in and explore the potential, someone else will. There will be no guarantee that whoever does it will pay close attention to minimizing their impacts along with giving attention to the native flora and fauna. Our purpose is to be there to help develop the sport so that when climbing expands we can have a say as to how guides and the local government manages tourism in a way that is considerate of the environment and follows Leave no Trace principles. A special thanks to Friction Labs and the following people who made this trip one of the most amazing experiences of my life. 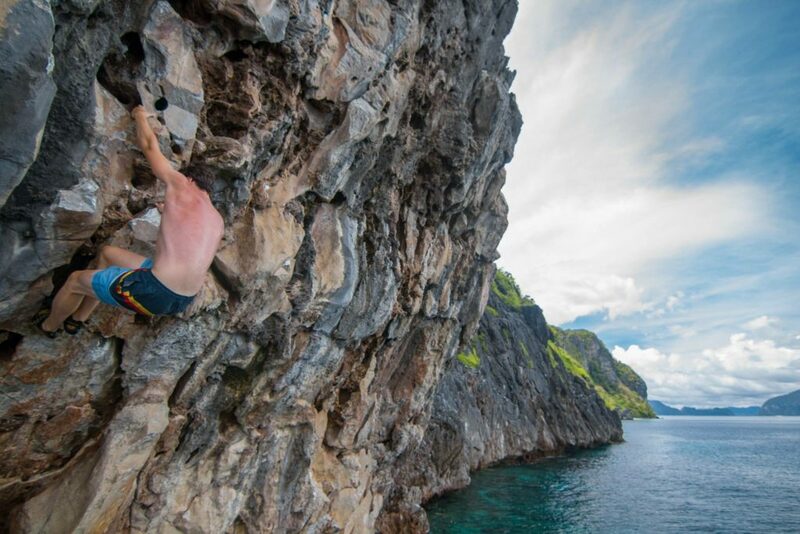 This article was written by Fernando Sempe you can follow him and his adventures climbing around the world via his Instagram!